For a long time, I viewed my energy usage as something that my parents always told me to watch, but not as something that could start to improve my life in the short-term. At home, I would leave the light on in my room when I was at school for the day, override the settings on my home thermostat, and blast my AC in the summer without thinking. However, this all changed when I moved to college in Boston. Truth be told, this change wasn’t a result of anything particularly environmentally related, but because of the other green that is a universal concern for many college kids nation-wide: money. Like many of my peers, I can’t say that I have a ton of frivolous income while at school. During the year, I don’t have a ton of free time to work a lot at a regular part time job. 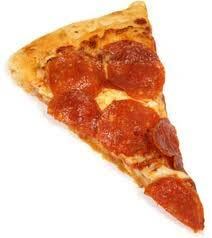 So, I work all summer and on vacations to save up to support my late night pizza addiction, tickets to concerts, and the reality of living in a city where a bottle of water in a convenient location can often times cost you $3.00 and a slice of mediocre pizza can go for $4.00. Thus, watching things like my energy and water usage came as a result of my desire for more spending money, and not entirely because of the environmental benefits. Call me crazy, but I’m a business double major who was more initially shocked by the fact that I had to pay $25.00 to get a research paper printed and bound at the student copy center than by the number of trees that were used in making the paper on which it was printed. However, many of my peers don’t even consider bringing their own recycled paper to the copy center to reduce the binding charge by $10.00, or just skipping the printing in general and asking their professors for the ability to submit papers or labs online. Printing, to them, is seen as an unavoidable cost and as something they cannot change. They really aren’t thinking of their paper or energy usage, or the amount of plastic they throw out every morning when they toss their morning iced-coffee cup before class each day. What makes this message really stick for a lot of college students is simply that instead of spending $25 to get their lab report bound, they can instead have that $25 to go out to dinner with their friends or buy some much needed ice cream after a stressful week of exams. So, here are some things that I’ve done that really do save me some valuable spending money each semester. These are also things that won’t take up any more of your time (something that I know that I don’t have), that are easy to do, and that blend right in to your day to day routine. Turn off your lights when you aren’t in the room. Yes, this is something that your parents always told you, but after you’ve had your rebellious kick of eating only junk food and staying up way too late the first month of freshmen year, you should try it… really. To be fair, you’re probably thinking that you pay a lot to live in on-campus housing anyway, so leaving your lights on while you’re in class is a way to “stick it to the man”, with the man being the people in the housing expense department. However, it’s going to make your life better to turn lights off, especially in the summer. Boston may not be known for its warm climate, but I assure you that it gets really hot in a college dorm with no AC no matter where you are. So, turn off the lights! This, in combination with keeping the shades drawn, will keep your room cooler than everyone else’s. Also, unplug that fan while you’re at class. You’ll want to keep it on at night so you stay cool while you sleep, but turn it off when the heat hits around noon because circulating air during the hottest parts of the day won’t do you any good. Unplug your electronics when they’re not in use. This is a no brainer, and an easy way to do this is to use a power strip. With a strip, you’re only taking up one outlet on the wall while still being able to plug in a ton of electronic devices. The great thing about these strips is that when you aren’t using anything; the power strip draws little to no energy from the socket. Besides, it’s not healthy for your phone or computer’s battery to always be plugged in, as the battery will burn out quicker, so unplug them when they’re not charging. Your benefit here is maximizing the amount of electric items that you can use while ensuring a longer battery life for your favorite electronics. Also, if you want to be super savvy, switch off the power strip completely to cut off electricity to everything and to avoid having to unplug everything individually. Using dorm washers is a pain that usually requires lugging a flimsy laundry bag down several flights of stairs to a basement and paying a TON. At my school it’s $3.00 for every wash and dry, so if you want to do lights, darks, and dare I say a load of delicates to avoid wearing child sized clothing, you’re talking $9.00 and up. So, make sure you’ve got a lot of laundry to do when make the trek to the washer. Be sure to wash your clothes on the cold setting with cold water detergent too. Many schools are making the switch the cold water only machines in general to cut down on the amount they’re spending on electricity, so take advantage of it. You can also buy compact drying racks for cheap, so pick one up before school to skip paying for a dry cycle all together if you can. That cut’s your cost of laundry in half, saving you valuable quarters and energy. Buying bottled water all of the time, besides being a huge waste of plastic, can also be expensive. $2 a day for a bottle of water in between classes can really add up if you’re buying it frequently, and a gallon of water for a more economical price takes up a ton of the very valuable real estate in your micro fridge. Buy a water filter that can either attach to the faucet in your common room, or buy a pitcher sized one that you can refill. This way, you’re not paying for water, it’s just as clean, and you’re cutting down on plastic. It’s easy to find cool cheap ones that are not the bulky sport things that you use on a hiking trip. Plus, a properly insulated one will keep your beverages colder or hotter longer than your standard coffee shop cup. If you bring your reusable beverage container to a coffee shop for your morning dosage of caffeine, some places, like Starbucks, will even give you a discount! While the savings may not be huge, it can really start to add up if you’re like me and are running off of at least 2 cups of the stuff on most days. If you buy a $3 thermos and are buying roughly 2 drinks at a coffee shop like Starbucks a day, you’ll make that all back in only 15 days. They’re super cheap, and sometimes you can even snag one for free from a sustainability group on campus. Many stores also offer discounts if you bring your own bag to take home your purchases in, so be sure to do that. They’re also a great thing to keep your recyclable items as they make it easy to sort out your recyclables from trash. You can even talk to sustainability groups on campus about places to drop off soda cans or water bottles where you can get you can get cash for dropping them off. Trust me, if you’ve got roommates, you can find yourself with a bunch of empty cola cans that you can exchange for some decent cash every month. As you can see, I’m not asking you to forgo the things you love to save energy and be more environmentally responsible. A few simple changes can really cut back on your energy consumption. Does this help the environment? Sure it does. But what’s more immediately apparent from being a little wiser with energy consumption as well as paper and plastic consumption is the extra pocket change available for enjoying some well-deserved facets of college campus life. Just remember to BYOP (bring your own recycled paper) the next time you get something printed.